Harmony Laser Pigment Reduction Treatment London. 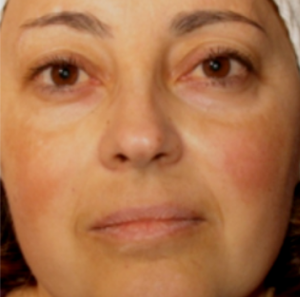 What is Harmony Pigment Reduction? Hyperpigmentation might generally be considered harmless, but it can have a huge impact on someone’s life. If hyperpigmentation occurs on the face, for example, it can result in low self-esteem and poor self-confidence, where simply telling yourself that it’s not noticeable isn’t an option. 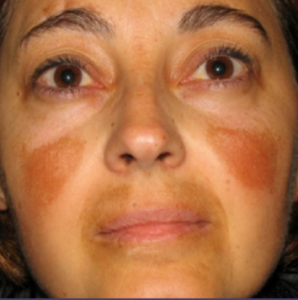 For many people, Harmony Pigment Reduction is a way of dealing with this hyperpigmentation and has resulted in patients leading much happier lives. Book a free consultation at our clinic in London today to find out more on what we can do for you. This procedure is one that can have a tangible impact on your daily life. If you’ve previously been self-conscious about going out in public or in certain situations, wouldn’t it be great to just walk outside with your chin held high? Why Choose Harmony Pigment Reduction? Harmony Pigment Reduction is a non-invasive treatment that works by essentially exposing the pigmentation to short pulses of light. These shatter the melanin in the pigment and it’s absorbed back into the body. What you’re effectively doing is forcing your body to do its job by pinpointing the areas you need it to focus on and absorbing that pesky melanin. 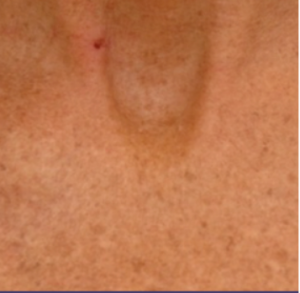 Pigment Reduction treatments are quick and simple. They don’t feel like you’d expect a procedure to feel and most patients report no discomfort at all during treatment. For others, there is a mild discomfort, but not enough to require any numbing agents. Is Harmony Pigment Reduction for Me? To fully check whether the treatment is suitable for you, it’s important to have an open and honest consultation with our professional team. 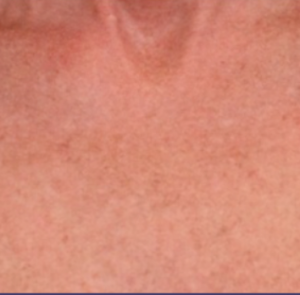 However, most people who suffer from hyperpigmentation, age spots and freckles are usually suitable for the treatment. When you speak to our team, be sure to detail your medical history in order for us to have a full picture of your needs throughout the course of treatment. They’ll also be able to alleviate any concerns you might have. Harmony Acne Treatment works by focusing intense blue-wavelength light on the bacteria that causes the acne. The light targets the bacteria and reduces it effectively without impacting on any of the surrounding tissue. It also helps to decrease the inflammatory response of the acne, meaning that you’ll be left with clearer skin afterwards. Harmony Pigment Reduction isn’t your typical therapy – it doesn’t cause pain or require much equipment. Using the latest in laser technology, the pigmentation will be treated in a pain-free way that often takes no more than 30 minutes. Patients report flaking, scabbing, redness and swelling as potential after-effects, but these can be managed. Make a change in your life and enquire about Harmony Pigment Reduction today. If you find that you’re constantly conscious of the way you look, talk to our team about the life-changing possibilities of Harmony laser treatments. We’ll only recommend the treatments we think are right for you, so don’t hesitate and get in touch for an informal discussion about improving your life.